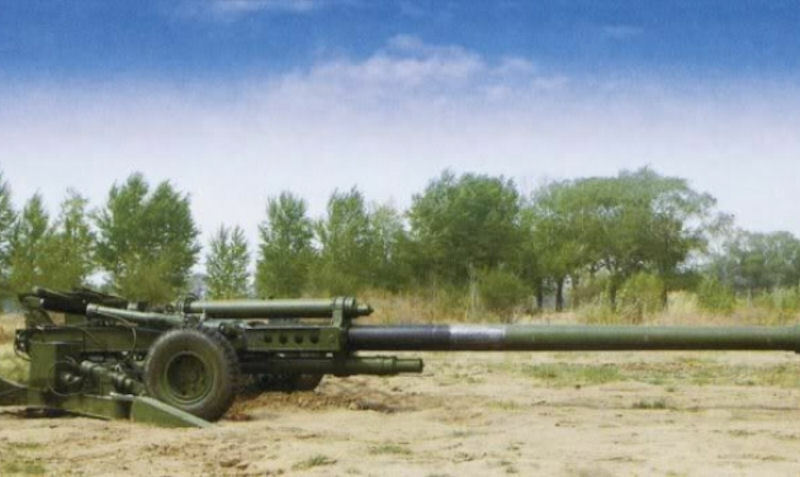 The newest Chinese light howitzer NORINCO AH4 is considered to be the direct equivalent of the American gun M777. Moreover, some features of the design of the two samples suggest that Chinese gunsmiths, at least, took into account foreign experience. Thus, similar means of distributing weight and recoil to the ground were used, and a similar system for installing the tool body was used. It is known that the company BAE Systems when creating their guns actively used aluminum and titanium, which made it possible to drastically reduce the mass of the structure. Probably, the Chinese designers also used lighter materials and alloys, which made it possible to obtain the corresponding results. 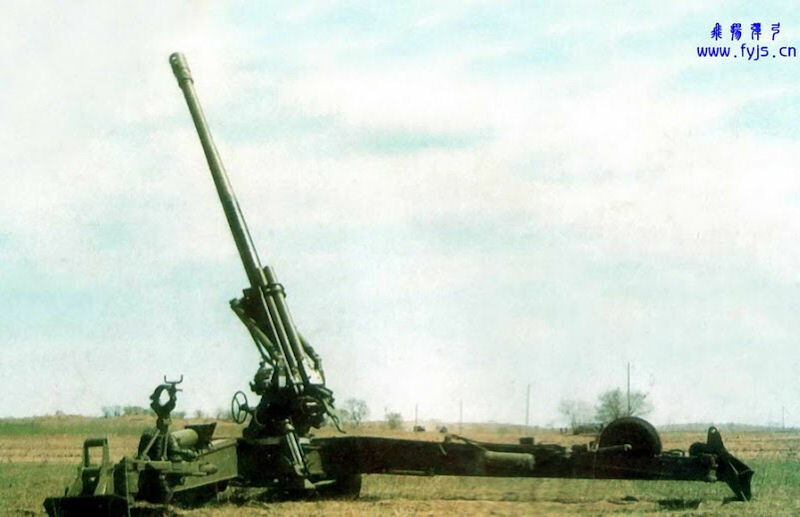 However, the AH4 is inferior in mass to the M777: the American gun weighs 4.2 tons versus 4.5 tons Chinese. From the point of view of the declared fighting qualities, the weapon of Chinese development is not inferior to the main foreign competitor. According to the well-known data on the capabilities of the AH4, the howitzer is capable of sending an ordinary projectile to 24 km, active-reactive to 30 km, and products of the latest models can fly 40 km. People are accustomed to using the "heavy artillery" to describe the large caliber gun firepower. However, this ultra light howitzer weighs in at 3 tons. The artillery has always been a "God of war" reputation. Military specialist can by helicopter hoist ultra light high caliber howitzer. The mountain tactical mobility far exceeds towed artillery and self-propelled artillery, and so becomes the "rapid reaction force in Mountain Warfare hammer", represents the development of towed artillery, the most traditional artillery weapons. 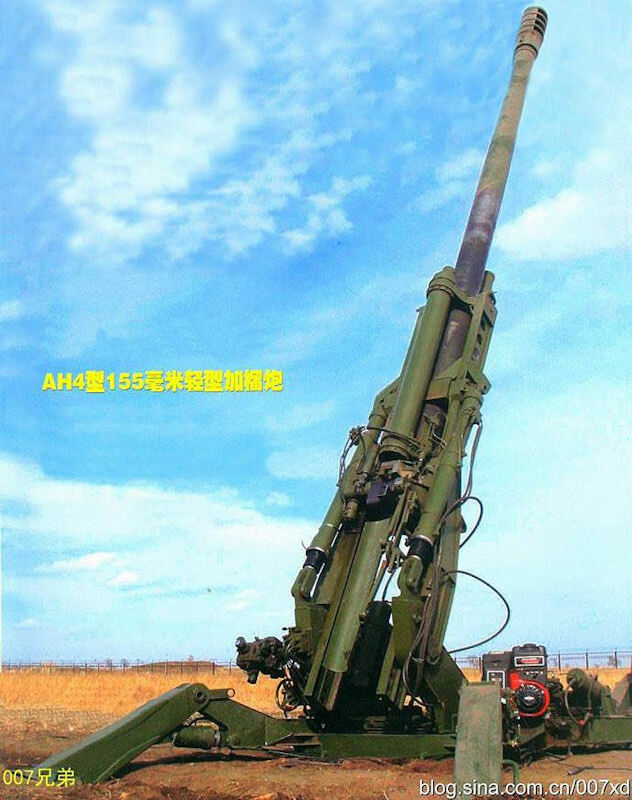 China North Industries Corporation (NORINCO) confirmed in July 2016 that development of its AH-4 155 mm/39 caliber Lightweight Gun-howitzer (LGH) has been completed, and the company is ready for production when orders are placed. This is a follow-on to the earlier 155 mm GP1 LGP and is claimed to have a higher resistance to jamming. 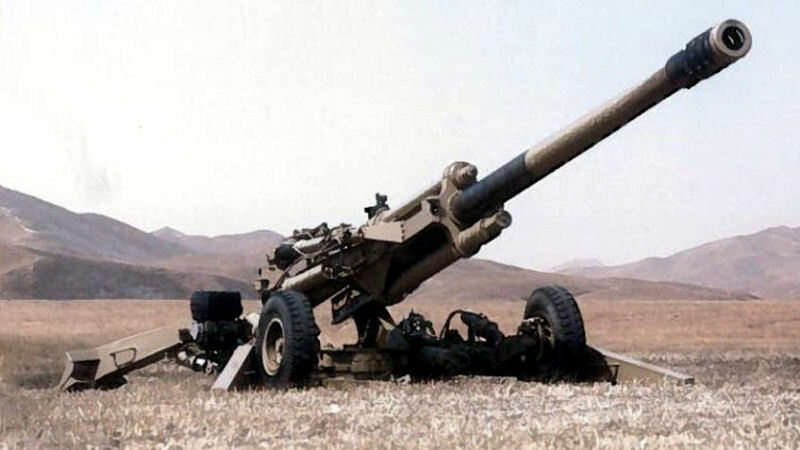 In many respects the Chinese AH4 155 mm/39 calibre LGH is very similar in concept to the BAE Systems M777 155 mm/39 calibre Lightweight Howitzer (LH) that was originally developed as a private venture by Vickers Shipbuilding and Engineering Limited (VSEL) and is now in service with Australia, Canada, and the U.S. Army and Marine Corps. Born at the beginning of this century, the M777 was the first use of a large number of titanium and aluminum alloy materials. It is usually operated by 8 soldiers, but also can be reduced to 5. The biggest feature of the gun is light weight, a combat weight of 3745 kg. NORINCO states that the AH4 has a combat weight of 4,500 kg, including its hydro-pneumatic suspension that enables the weapon to be deployed in firing position within three minutes and returned to its towed position in two minutes. The AH4's elevation and traverse limits are almost identical to the M777 at -3 to 72° and 22.5° respectively. It is operated by a crew of seven. Gun tube is 39 times the diameter, because the use of ramming machine gun in the intensive fire, the initial rate of fire is up to 5 rounds per minute, with continuous shooting at 2 rounds per minute. The structure of the AH-4 is similar to M777, in fact, is due to meet the demanding performance requirements, technology choice is often to ensure strength only -- only the use of titanium alloy in order to make the gun very light weight; only the base disc carries the recoil directly to the ground; only by using "H" type carriage to ensure fire during the gravity change after tilting. Chinese sources speculate that the preliminary task for the Z-18A helicopter is to carry and transport the AH-4 155 mm light artillery system developed by the China North Industries Corporation. The artillery system was exposed in 2012, which is extremely similar to the M777 155 mm artillery system developed by British BAE Systems. The combat load of AH-4 artillery system is only 4 tons, according to the China North Industries Corporation. Some military analysts have speculated that AH-4 and M777 also adopts aluminum alloy titanium alloy with high strength and lightweight, the whole gun weight down to 3.5 tons to 3.8 tons. 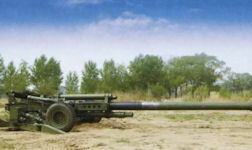 The people's Liberation Army for years used the main towed artillery, 59-1 type 130 mm cannon. The 59-1 type full combat weight reached 6.1 tons, more than the helicopter can lift. By 2015 there were already more than 150 Mi-17/171 series helicopters in China Army Aviation service. TV3-117VM turbo shaft engine is modified with the VK-2500 model engine, power ceiling, range, stability, safety and other properties of a substantial upgrade, can carry out the task in the hot and the rarefied mountain air condition. The computer can plug-in hoisting 4 tons, just can bring an ultra light howitzer. In the mountain area of dense vegetation at the border with India, M-171 and AH4 could form a perfect match to the battlefield. The helicopter can move the gun quickly, land, and in a few minutes a coordinate is obtained the enemy fire, then quickly lifted away. This will become the new tactics of Chinese army mountain troops and paratroopers and quick reaction force.